Where is Video Marketing Headed in Upcoming Years? 2014 will be the year of video marketing. 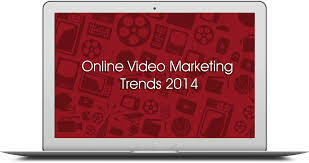 This article contains some predictions regarding video marketing in 2014. Read on! Micro video platforms were introduced in 2013. It became famous in this year too. Most of the companies like Coca Cola, Red Bull and Oreo started experimenting with these short videos on Vine, Tumblr and Instagram. They key which these marketers used was that they combines simplicity and creativity for creating these videos. Experts claim that these videos are four times likely to be shared and liked as compared with the traditional online videos. Smartphones have become very common and younger people mostly prefer using them when it comes to searching for the required information. Since the younger audience is fickle; therefore, marketers usually need to connect with them on their level by using their language and their style too. 2014 will be the year of constant innovation. Most of the TV campaigns will shift online. The researchers have found out that 40% of these campaigns would shift to online marketing. In 2014, video campaigns would be working across all the screens to get maximum visibility. It will no longer make sense to have separate TV and online divisions. Screens and smart gears like Google Glass will hit the market in 2014. Apple will release iWatch and Google will release Google Glass. However, it would be a challenge for the firms to know what their wearers exactly want from these new screens. They will have to provide something useful to the users. In 2014, the line which exists between TV and online video will vanish away. Viewers would not consider the importance of screen in 2014. They would be willing to watch their favourite programs on Smartphones and then resume it on the TV. Marketers will have to find greater research on what viewers want and who is watching the screens. In other words, 2014 will be the era of video marketing irrespective of the screens it uses. The processes of video marketing will evolve and more marketers would be willing to indulge into this process of video marketing. Small videos will play an effective role by providing the most recent info to the users in a visual manner. Viewers would prefer watching any show on their Smartphones. All in all, 2014 will expand the usage of video marketing campaigns. New products will be released and innovations will continue to take place consistently!